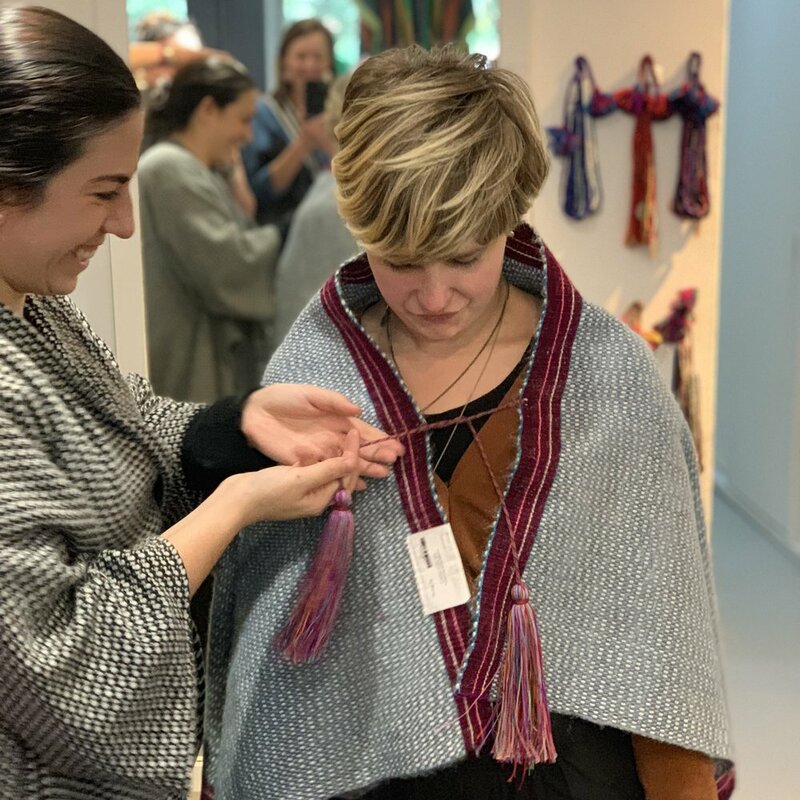 Our visit with Mexican fashion label Yakampot epitomized our Mexican tour, which explored craft and design in Mexico today. 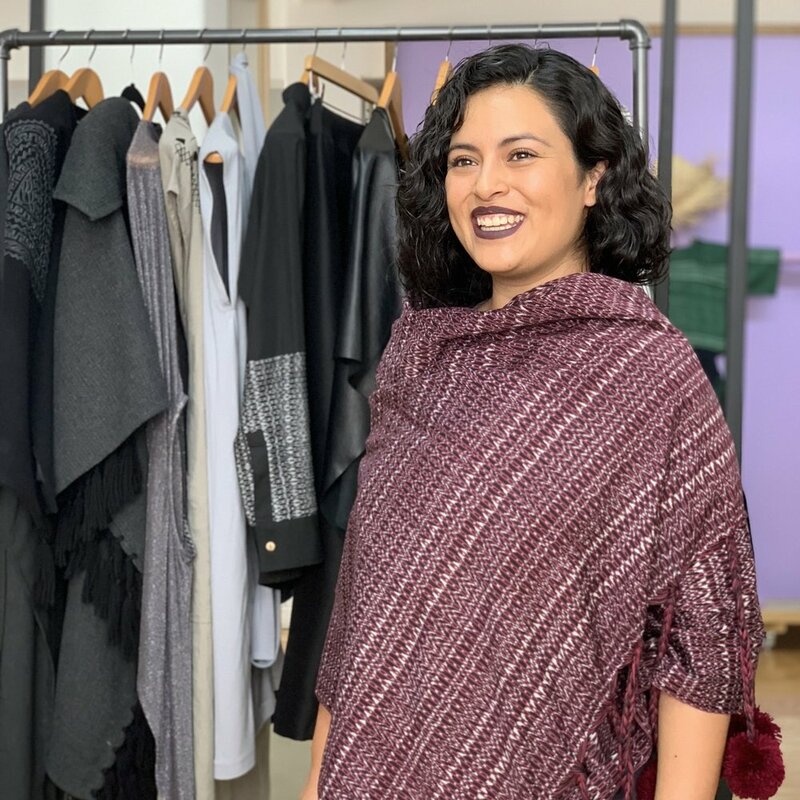 Designer Francisco Cancino produces a sophisticated line of women’s fashion that is deeply rooted in Mexico’s indigenous and hispanic heritage. 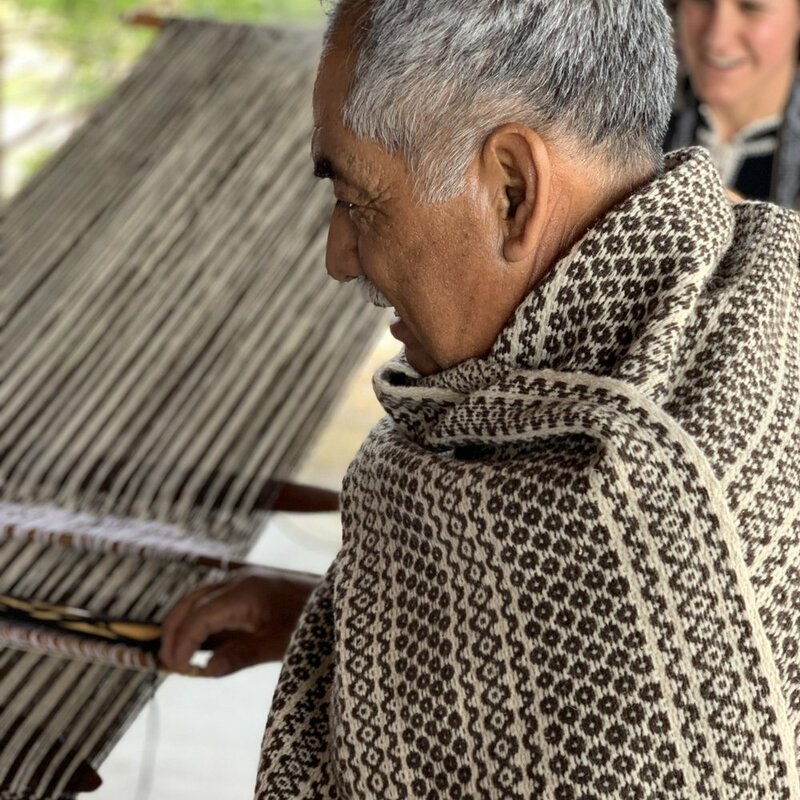 After describing his inspiring, creative collaboration with indigenous craftswomen in Chiapas, he asked us to tell people at home that good things are happening in Mexico. This set the tone for the rest of our trip! With a gracious boutique hotel as our home-base, we set out to meet other designers with a similar mission. We met the son and daughter of a fashion designer who has pioneered Mexican-made fashion for over two decades with her vibrant eponymous label; we visited the studio of an award-winning designer who reimagines traditional garments such as the huipile, quechquémitl and rebozo; and we visited the showroom of a clothing company with a strong social and sustainable design ethos. 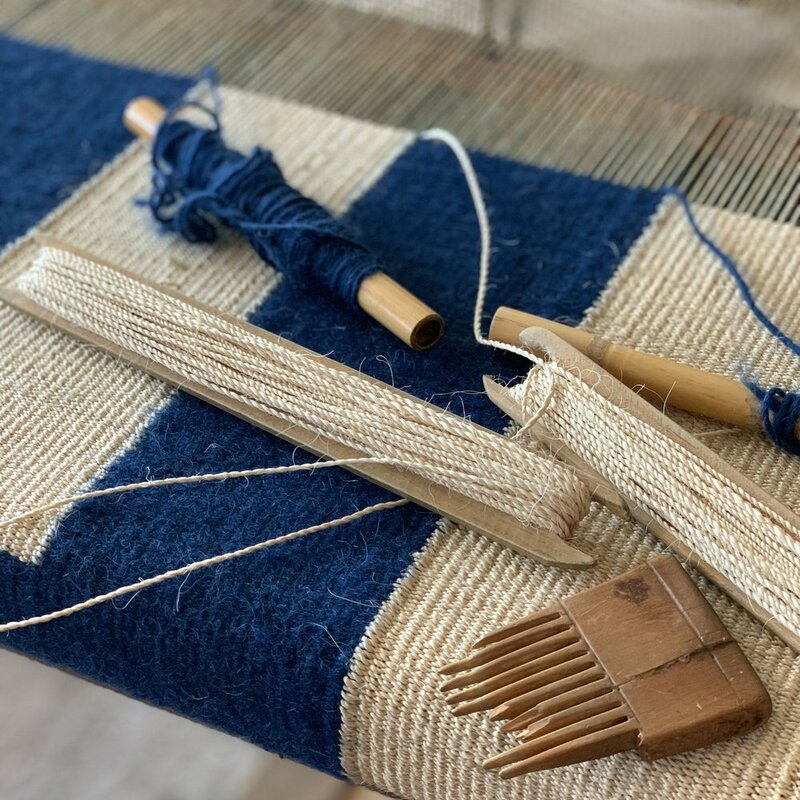 We met the co-founder of a chic homewares and accessories boutique, and learned about her personal and professional background championing Mexican handcrafts. 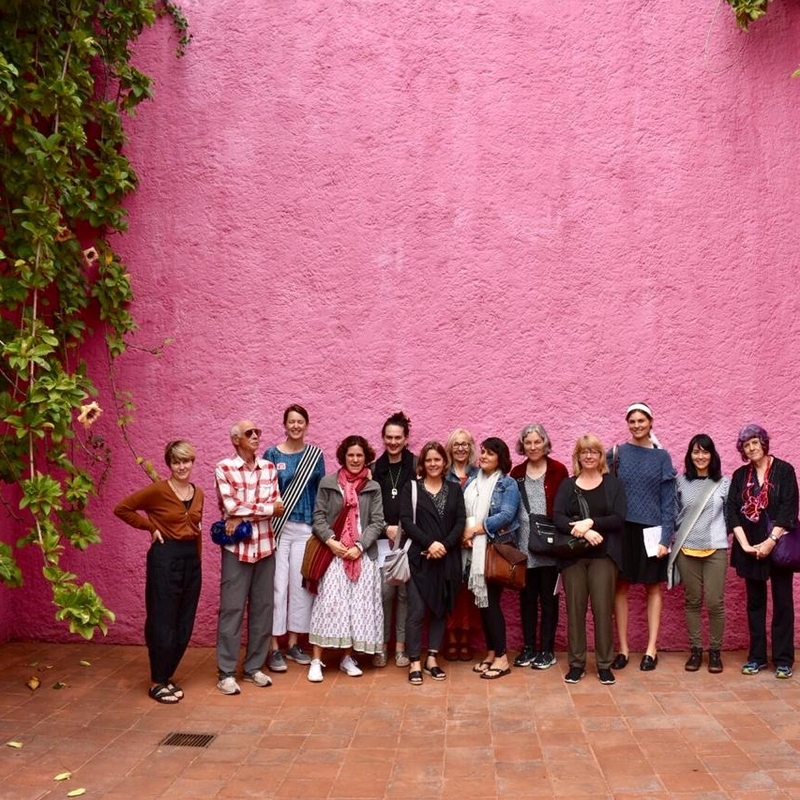 Our sightseeing focused on Mexican design—including a guided tour of architect Louis Barragan’s house to see how he fused classic modern design with a distinct Mexican perspective and a visit to the Frida Kahlo Museum, to see how Mexican handcrafts influenced her work and personal style. Leaving Mexico City for our journey to the Mixteca region of western Oaxaca, we were lucky to have a clear day with a spectacular view of the volcanoes Popocatepetl and Iztaccihuatl. The next part of our journey, which took us deep into the countryside brimming with wildflowers, was an exciting contrast to Mexico City. Our hotel was located on the central plaza of a bustling regional town where we had a chance to see the activities of daily life. We also happened to be in town during a festival, with fireworks sounding each night! On day trips, we experienced remote village life and we were privileged to meet women making and wearing traditional clothing, the style of which varies between communities. 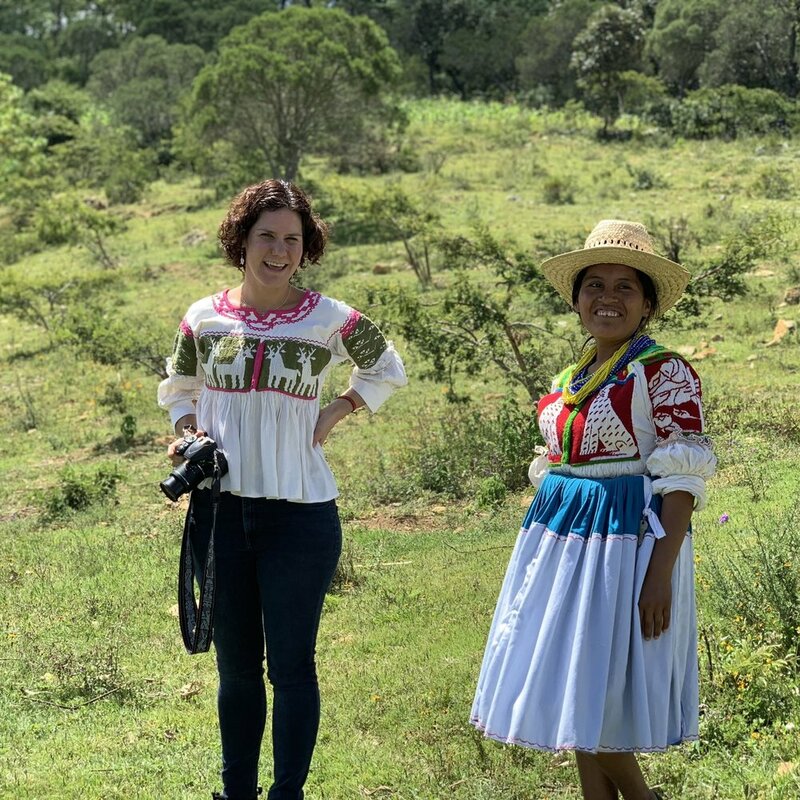 These communities are rarely—if ever—visited by foreigners and it was a privilege to be a guest in the homes of indigenous female artisans and entrepreneurs, where we also enjoyed lunch, getting a taste for traditional, home-style cooking. It was interesting to see a slice of Mexico’s diverse indigenous culture, which informs and inspires many of the contemporary designers we met in Mexico City.